Arnott and Vederoff Ancestors - This photo was on Nina Vederoff's drivers license when she passed away in 1985. Photo was probably taken abut 1983. 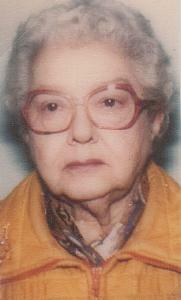 This photo was on Nina Vederoff's drivers license when she passed away in 1985. Photo was probably taken abut 1983.